College Day at Kennywood on Sunday, May 07, 06 sent few Pitt students into Noah’s Ark. They were able to experience a bit of history inside the Ark. Those who visit Kennywood should not leave without entering the Ark. The Ark is as beautiful on the inside as it looks on the outside. It is filled with animals and a rendition of Noah and his wife taking care of the animals. You will also experience a mini flood. Fans of the Ark visited it and enjoyed it a lot. Once you go in, it is like a maze! Without signs you could very well be stuck in there for 40 days and 40 nights. If you are not careful you can even fall but that is something you need to discover yourself. Three Pitt students from left to right with a friend of theirs enjoyed the Ark experience so much and were thrilled to be part of it during College Day at Kennywood. 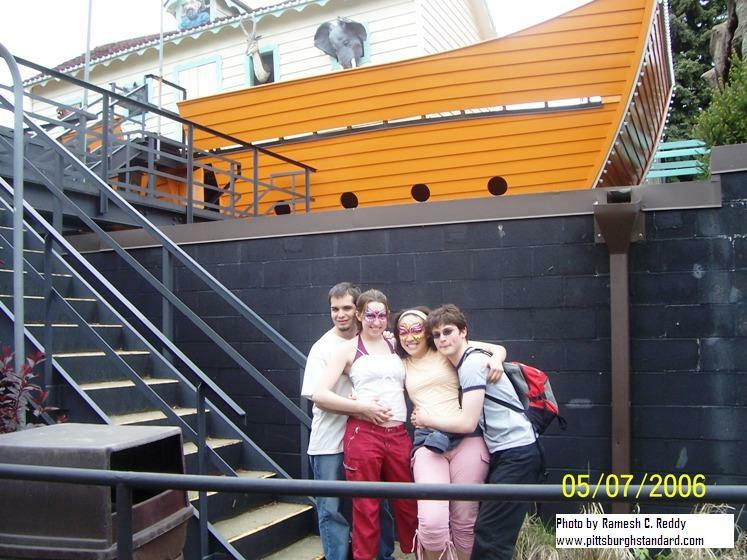 Kennywood is not just for friends who can enjoy a good time but also for husband-wife couple who can have a blast there. 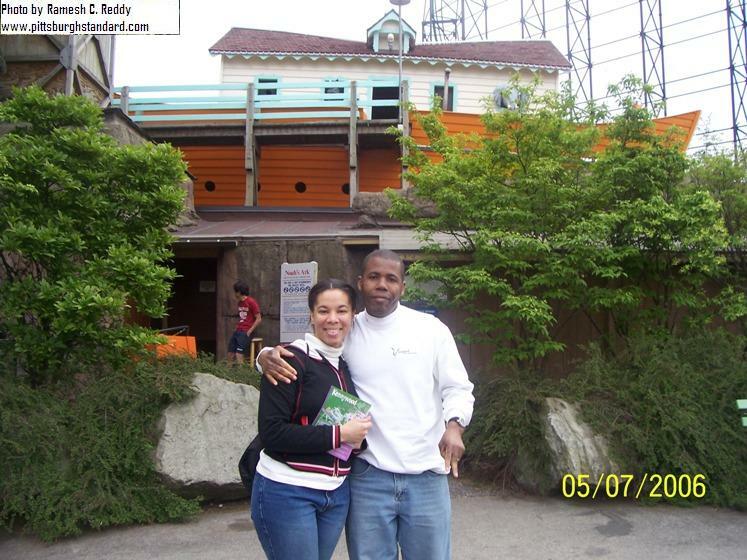 Pitt student Kamella Carmino Garraway, a Pitt graduate student in Information Science went on as many rides as possible with her husband Amigo Garraway, a WPTS sports commentator for the University of Pittsburgh radio station. Garraway also saw magic shows, and High Diving without forgetting to go on the PITT FALL with her husband. College Day at Kennywood gave Pitt students a break to enjoy life with the thrills.